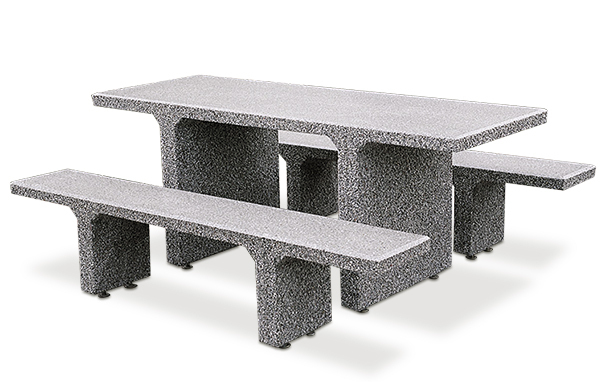 7' rectangular concrete picnic table with separate benches with double over-hanging table top that meets ada requirements for universal access. Separate benches provide slide in seating, enough space to comfortably seat six. Available in polished or smooth stained concrete finishes, in various color options as shown. 3/8", 1/4" & 1/2" Dia. Steel Rebar.